We had the opportunity to host Junior Nyirongo, 7Q7JN from Malawi Republic. 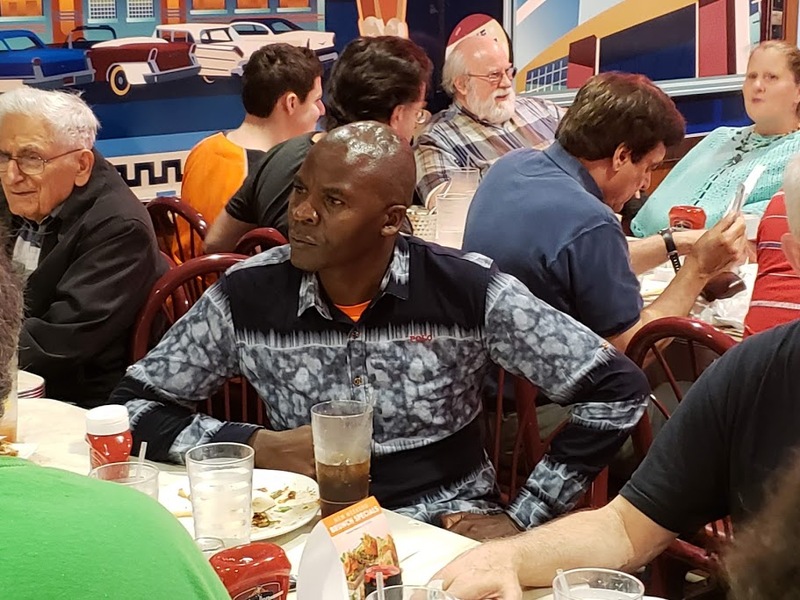 This picture was taken at the Montgomery Amateur Radio Club dinner in Rockville, MD. Junior works at Embangweni Mission Hospital in Northern Malawi.